As a part of the Apartment Therapy January Cure, one of the last assignments is for participants to frame some artwork and get it hung up. Although, I’m well out of my own personal January Challenge, this assignment was important to me, so I say better than never on this one. Here’s how it all turned out. Now, let me go back and explain how it could possibly take me forever and a day to hang up a couple frames. 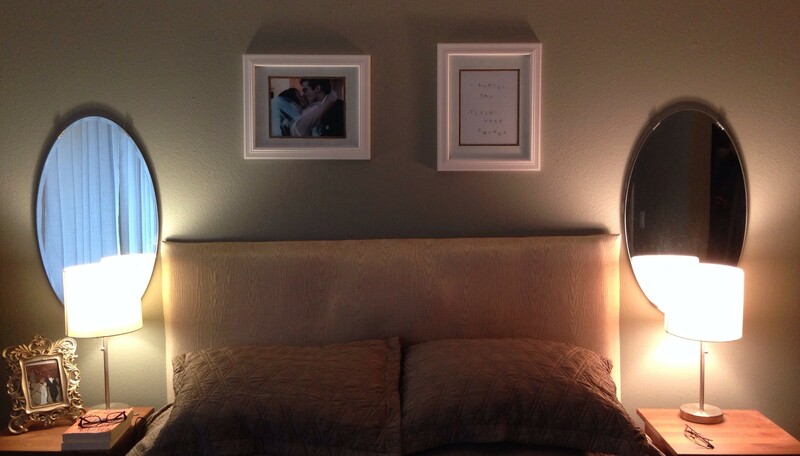 I had purchased two white frames and black matting, with the intention of hanging up some photos of the hubby and I, in our master bedroom. 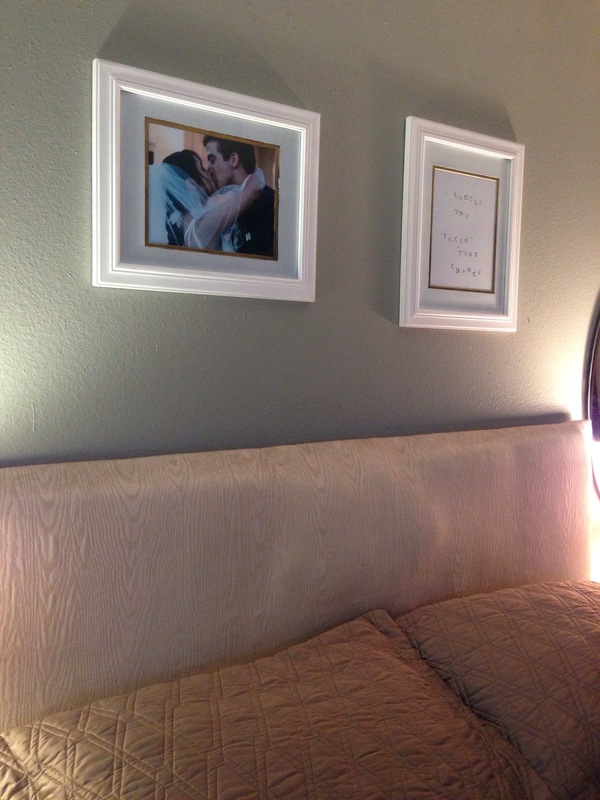 I printed off a photo and placed it in the frame with the matting, and I hated it. My friend suggested painting them, and I decided that sounded way more fun than exchanging them. I didn’t get to this project until last weekend just because life has been hectic –and one has to be in the mood to be crafty. I am happy to report that once I started working on this project, I enjoyed painting so much that I decided to create some art for the other frame. I knew I didn’t just want to paint them, and the idea of texture was on the brain, so I found some mesh in my fabric drawer and placed it over the matting. I just taped it in place on a piece of foam core board. Then I began painting, just using some basic white acrylic paint. After maybe ten minutes, I peeled the mesh off, and this is the outcome. 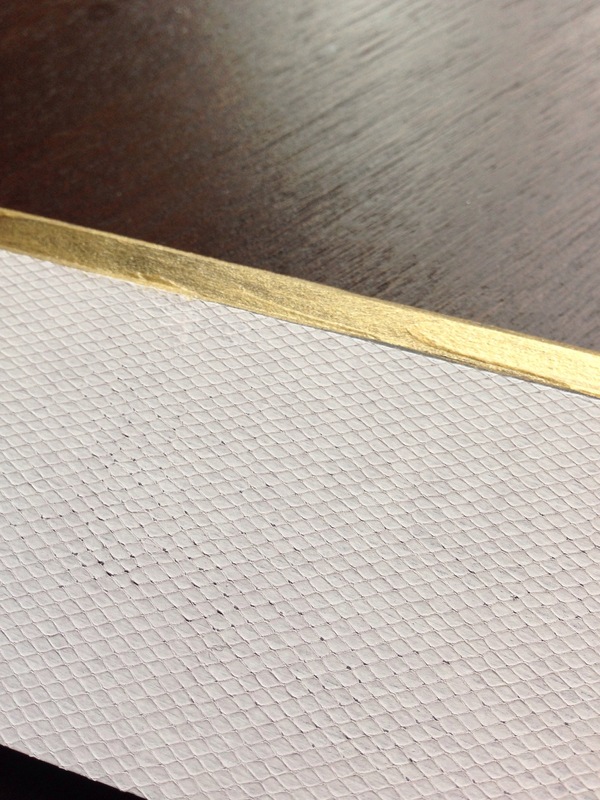 Once I saw how the white turned out, I knew that a little touch of gold on the matting border would be nice. I love that the matting has dimension, and I really like its imperfections and variation. 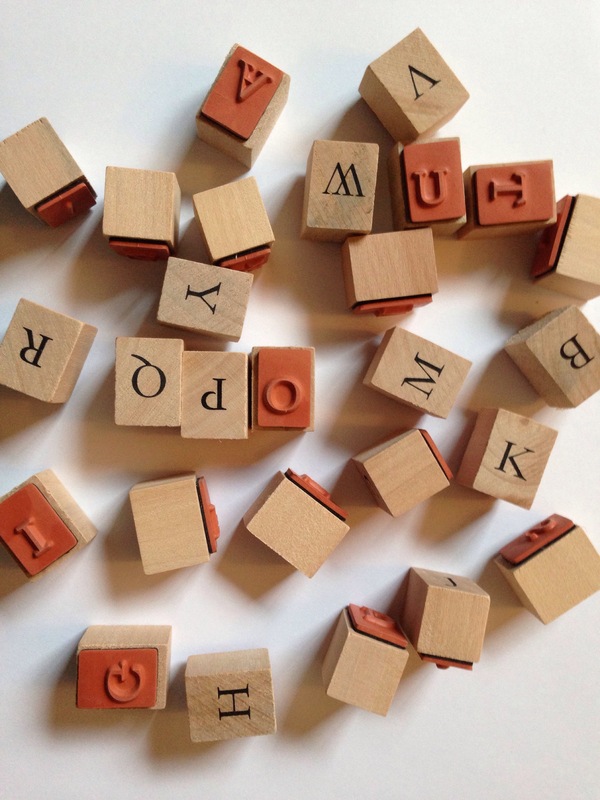 For the second craft, I pulled out my letter stamps for a little touch of personal art. 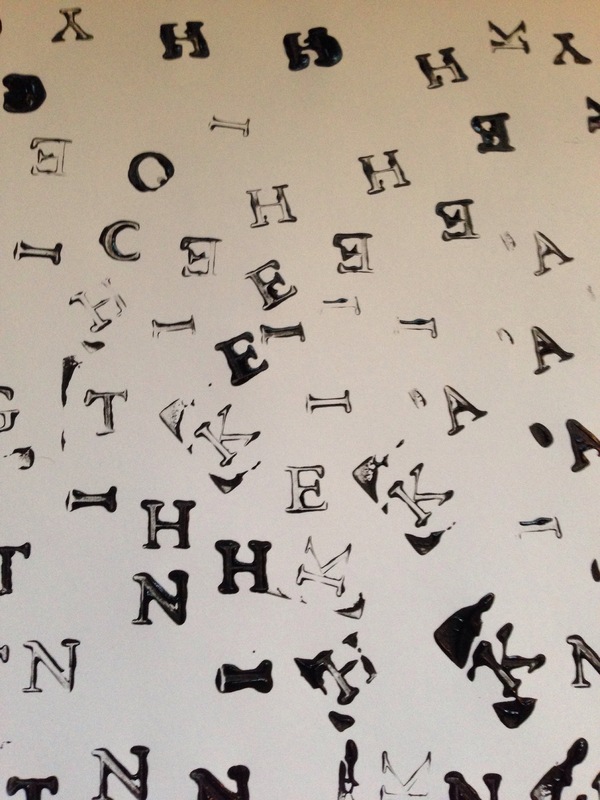 I did not have a black ink pad, so I used black acrylic paint and this required a lot of testing. Also, I just liked this photo. 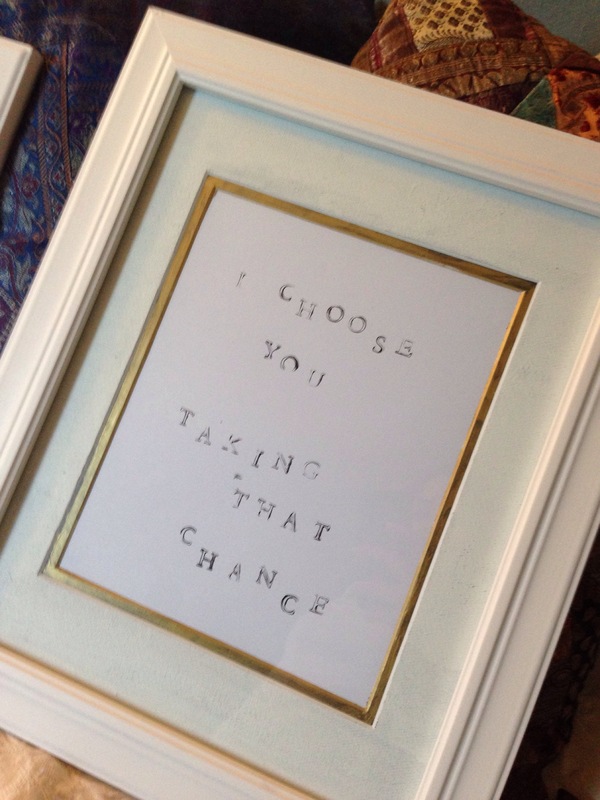 I chose two lines from our wedding vows for this piece. The top one is from my vows, and the bottom one is from his vows. Now, this little reminder lives over our bed, so we can see it every morning and every night. I am really pleased with the outcome, and I love that with each day our home becomes more complete and more us.